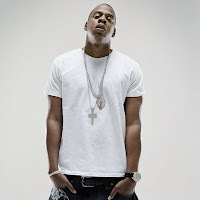 THEMIXLAB: Jay-Z Dropping New Album, "The Blueprint 3"
Jay-Z Dropping New Album, "The Blueprint 3"
Yeah, I'm pretty sure y'all know already, Jay-Z is talkin' on dropping his new anticipated album Blueprint 3. It is not breaking news especially with tons of websites and blogs posting up the news faster than a Jehovah Witness rings a door bell. Also, you will or may have found and heard leaks from the album (Brooklyn Go Hard, Swagger, History - sound familiar?). Jay told MTV recently, "For me, the process of making an album is difficult with so many things going on. And me, I wanna make it beyond and above. I'm gonna take my time with it. I don't have any quotas, and that's a good thing. It may be too freeing. It's a good thing and a bad thing. You know, I think I need some restrictions. 'Cause if I had restrictions, I would have done it in three weeks. I would have made what I believe to be a great piece of art." Plus, not only would this album be Jigga's last on Def Jam, but would have the majority of it produced by Kanye West. Let's hope he don't put his heartbreak on the record....Jay don't need to be robotized! Jay also mentioned about 'Ye working on some tracks for the Blueprint 3 recently. "He wanted to do a few more joints, so he kinda pushed it back. Now we're gonna go in and just work on some more records. So I got some more stuff to kill it with! I think [Jay pushed the album back because] 'Swagger' just did so incredible. We wanted to go up [and make sure] everything was on that level." Well, we all just gotta sit back and wait for this next Jigga chapter to be released. Just keep your ears peeled and drop any info on the status in the comments. NEW Episode #5 added to Podcast!